A couple of weeks ago, 2 articles were published by different research groups about a species of arachnids. Arachnids are the group that contains spiders, scorpions, ticks, mites, harvestmen, and a couple other groups. 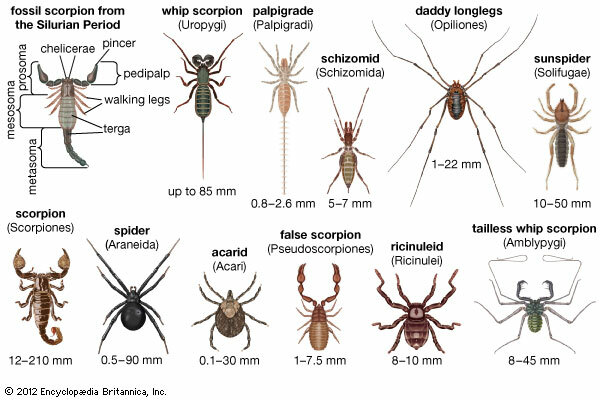 They all have 8 legs, 2 body segments, and 2 other pairs of appendages that serve a lot of different functions. The diversity of arachnids. From Encyclopedia Britannica. 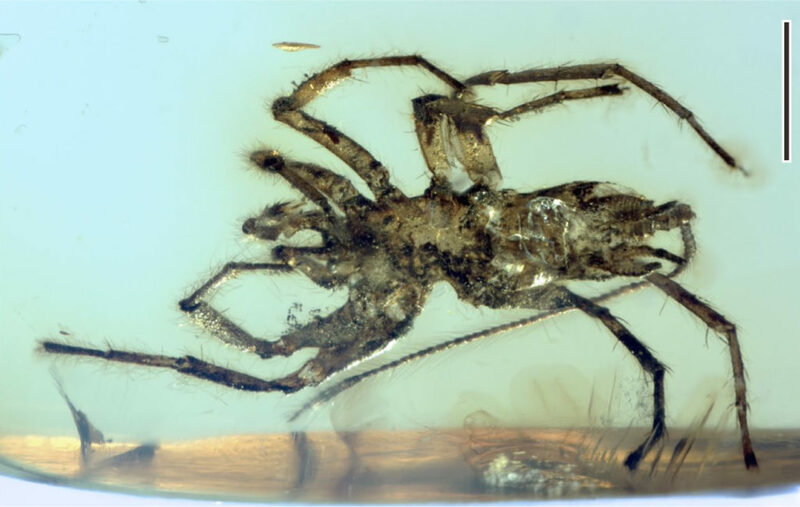 The articles focused on 4 specimens of a new species, called Chimerarachnae yingi. ‘Chimera’ means ‘a mixed animal’, ‘arachnae’ refers to the arachnid group, and ‘yingi’ is in honor of the person who found the specimens. All 4 specimens were found in amber in Myanmar and date back to the mid-Cretaceous (around 100 million years ago). One of the specimens used in the studies. From Wang et al. 2018 (the first group). Each research group looked at the specimens and ran an analysis of evolutionary relationships to see where this new species fits in. [One research group] found that this species is more closely related to spiders. [The other research group] found that it’s more closely related to an extinct group of arachnids called Urareneida. The different positions the new species takes. The first study showed that it was closer to spiders (in blue) and the second showed that it was a Uraraneid (in red). But why the difference? It seems the combination of traits that Chimerarachnae has makes it difficult to clearly place into the tree of arachnids. When analyses are run in slightly different ways, its position moves around. Hopefully more specimens can help clear this up in the future.